He was born in Linstead, St. Catherine, in the Spanish Town area, in Jamaica, on August 16, 1958. Four and a half as years ago Msgr. 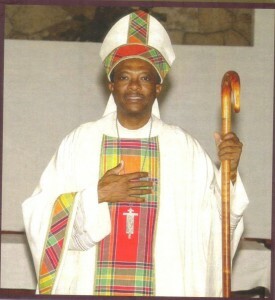 Kenneth Richards, while being General Vicar of Kingston in Jamaica, the Holy Father, Pope Benedict XVI, in Rome, on November 19, 2011 announced his election as the new Bishop of the Diocese of St. John’s-Basseterre, which includes Montserrat. The new Archbishop will travel to Rome to receive from Pope Francis his Pallium on June 29, 2016. The Pallium is bestowed on Metropolitan Archbishops by the Holy See (Pope) as a symbol of the jurisdiction delegated to them and as a connection to the Papacy. The Most Rev. Richards will be installed as the New Metropolitan Archbishop of Kingston sometime in early July. The new Archbishop was ordained priest on September 29, 1985. 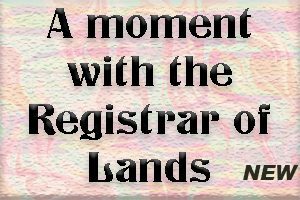 After ordination, he has held the following positions in the Archdiocese of Kingston in Jamaica: 1985-1989: assistant priest at Holy Cross, 1989-1995: Pastor of St. Benedict and the African martyrs, 1995-2003: Pastor of two parishes St. Jude and St. Patrick, 2002-2005: archdiocesan Director of Vocations, 2004-2008: President of the Priests’ Council and President of the Priests of the Archdiocese; since 2004: Member of the School Council of St. George’s College and Holy Trinity High School, and Director of the Cathedral. Since 2008. 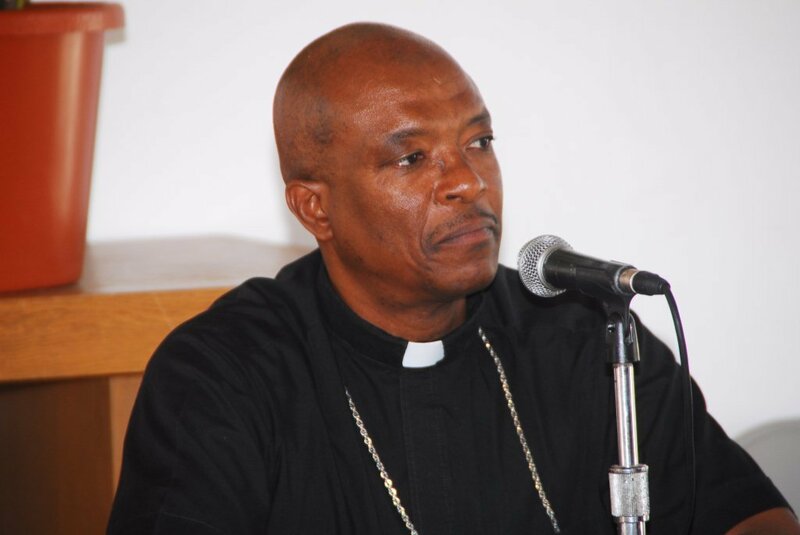 Vicar General of the Archdiocese of Kingston in Jamaica. 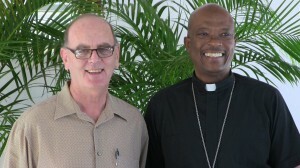 Bishop of the Diocese of St. John’s-Basseterre, since November 2011. Rev. Fr. Pierre Tevi-Benissan, SVD in making the announcement asked the Diocese “Kindly continue to pray for the New Archbishop as he takes up this new responsibility, asking our God to bless him with good health, wisdom, courage and a fulfilling ministry.” And, “Pray also for our Diocese, St. John’s-Basseterre which Bishop Richards has served for more than four years, that God may bless us soon with another Shepherd. He spoke of his challenges: “…one of learning getting to know the people, know the territory, know the culture and of course…because we’re talking about nine different islands, each of them with their own individuality.” Now he heads back to the culture he grew up with in his home Jamaica. 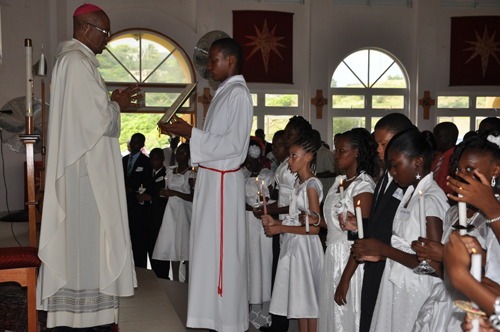 The Bishop in end of May 2013 administered Confirmation and rendered the homily in which he directed some of his message to the youngsters. “…today as you commit yourselves to grow in faith and receive the gift of the Holy Spirit, commit yourselves to therefore applying the word of God, so that the Holy Spirit can apply to you, because ultimately the Holy Spirit will lead you to that great gift, that great gift of wisdom,” he told them. Following the announcement, the Antigua OBSERVER media newspaper quoted the Bishop as saying, that among his major accomplishments in Antigua are the impact that he had on people with respect to their spiritual growth and development; the establishment of commissions such as the Building and Property Commission; the activities of the Catholic Schools Commission, which he hopes will help to develop respective school boards. He added that he, along with the church, has erected a new building block at the St Joseph’s Academy and there are plans to complete a multipurpose facility in Hatton which is not only dedicated to worship, but to aid in community development by offering training and skills. 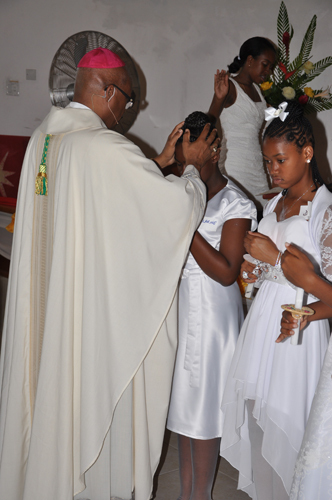 Bishop Richards also highlighted that one of the good practices that he has witnessed during his service at the Holy Family Cathedral, (headquarters of the Diocese), and will most certainly take with him to Jamaica is the involvement of the youth within the church. do you have contact information for george agger and kenneth richards?